Guest post by NhiMy and Lisseth! Hello fellow readers, welcome to the tSB blog! If you don’t know already, the Service Board is a year long youth empowerment program where we gather together a group of youth and mentors to discuss about social justice within our community on Wednesday nights as well as eating dinner together. In addition, we alternate between community service and snowboarding on Sundays. This program enforces youth to push their growing edges and gain a whole new sense of family. So, let’s get to the main part, shall we? After we hopped off the bus (shout out to bus driver Mark! ), everyone gathered boards and coolers to the lodge. We soon split up into our family groups and went our own way. 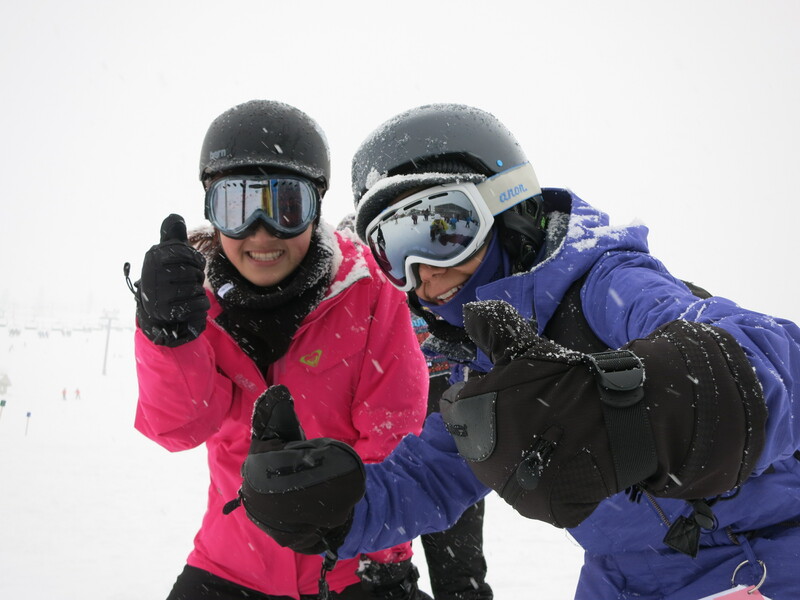 With the help of awesome and very well-trained snowboarding instructors, mentors and peer leaders, our new riding prophets glided down the fresh powder of snow for the first time! tSB was lucky to have had such a nice day and a fresh dumping of powder to fall into on our first trip up in the mountain. I can still hear the strapping of the boards. There were prophets that constantly fell and others that rode like superstars, but despite all the falling and potential bruised buttocks, our tSB prophets continued to improve their posture and stances. On top of building up their confidence and boldness that reached to the depth of their sore toes! One word to describe them? Fearless. Around 1:30, family groups met back up at the lodge where we were supposed to head home, but due to chain difficulties on the bus, we ate lunch instead. As more people returned, everyone tiredly carried the items back to the bus and came back to form a large gratitude circle. In tSB, a gratitude circle is what we usually do at the end of program days and say what we are grateful/thankful for, something new we learned, or shout outs to certain people. In this case, of course, positive comments illuminated the air. ( : All in all, this snowboarding opportunity that tSB has to offer, creates stronger bonds and smiles on the faces of old and new riders. Most of all, we are all totally stoked for snowboarding day 2!! !